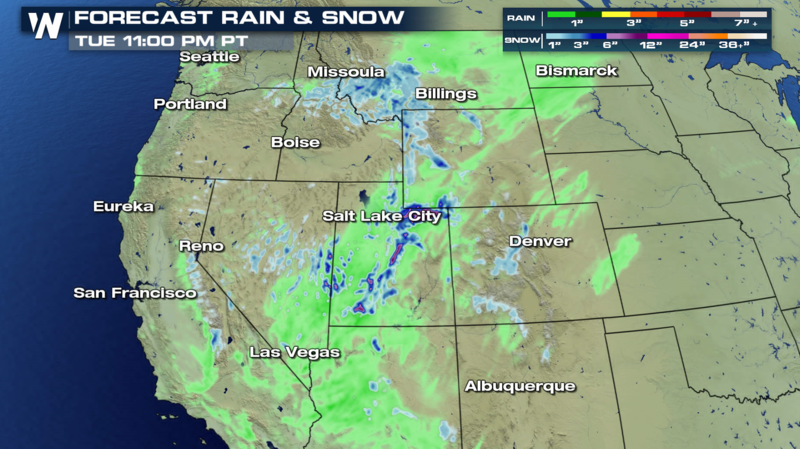 Winter is not over yet in portions of the western U.S. as Pacific moisture continues to stream onshore. Most areas will see rain. 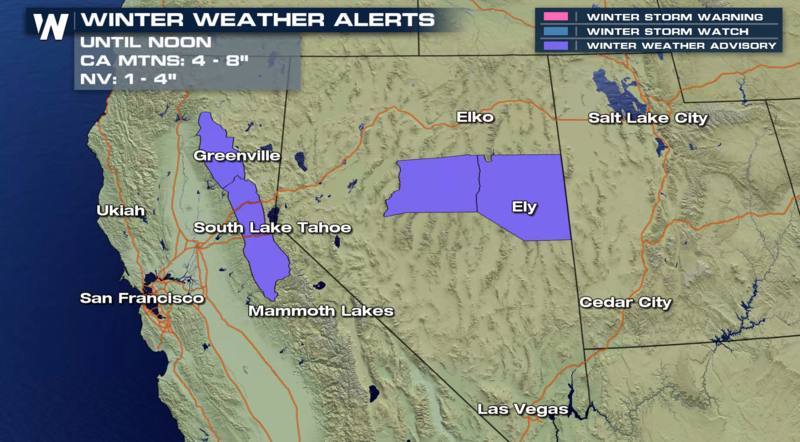 However, the Sierra Nevada mountains will see snow, as will higher elevations in Nevada. Below is the forecast for accumulating rain and snow through this evening (Tuesday). The blue and purple shaded areas indicate where snow is expected. This would include the mountainous areas of California, Nevada, Utah and Montana. 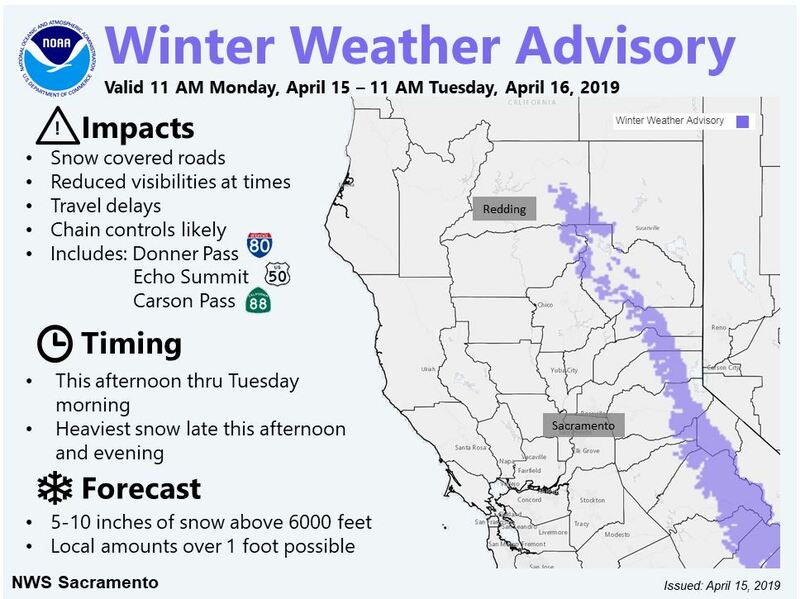 A Winter Weather Advisory remains in effect until midday for areas above 5,500 feet in the Sierra Nevada mountains of California. Total snow accumulations of 8 to 12 inches are expected. Some areas could see up to 16 inches. 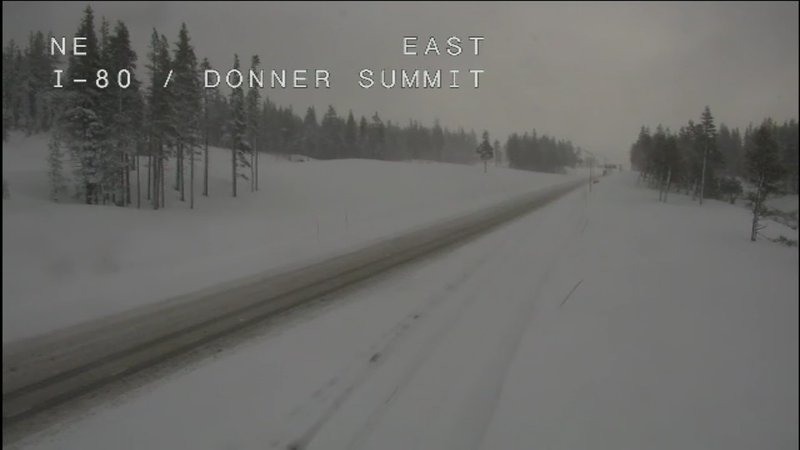 Travel has been difficult in some areas, including Interstate 80 over Donner Pass, highway 50 over Echo Summit, and Highway 88 over Carson Pass. Winds could also gust to over 50 mph. This could cause blowing snow and greatly reduce visibility at times. Below are details posted by the National Weather Service office in Sacramento. Notice that chain controls are likely over mountain passes, along with travel delays. 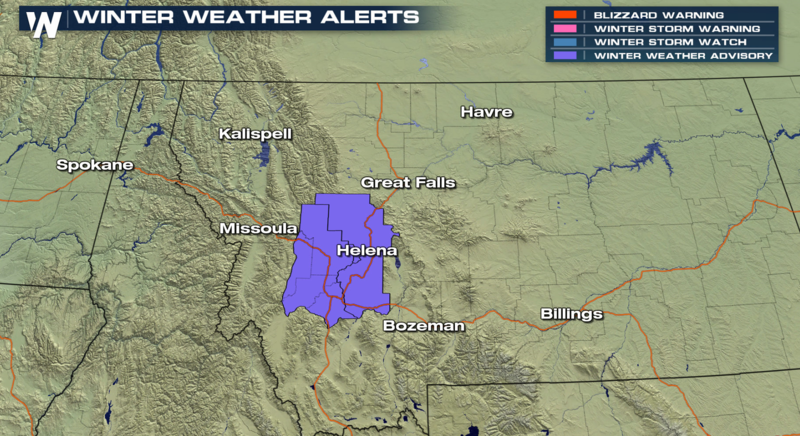 Farther to the east, Winter Weather Advisories are also in effect for parts of Montana through midday today (Tuesday). 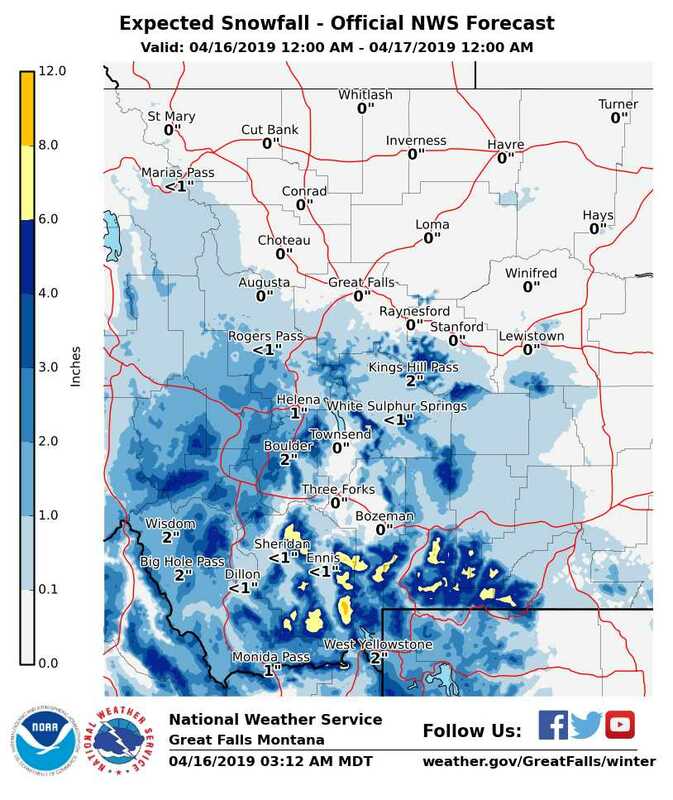 Snow is expected above 5,000 feet with 1 to 4 inches of accumulation. Plan on slippery road conditions, especially over mountain passes. Visibility will be reduced to less than a half mile at times. Snowfall rates near one inch per hour are possible. A winter weather advisory means periods of snow will cause travel difficulties. Be prepared for slick roads and reduced visibility. Please use extreme caution while driving. For the latest road conditions in your state, call 5-1-1. And for the very latest weather forecast, stay tuned to WeatherNation. You can watch coverage on Dish network, Roku, Fire TV, Apple TV, Pluto TV, and on any mobile device with the WeatherNation App. It’s free, and easy to use.